Microsoft works closely with Barracuda engineering, solutions architects and sales teams to create a great customer experience and make it easy for customers to leverage the Barracuda NG Firewall, Barracuda Email Security Gateway and Barracuda Web Application Firewall to move their applications into the Azure cloud securely. The Barracuda Email Security Gateway and Barracuda Message Archiver offer best-of-breed email management, archiving, and security for organizations utilizing Microsoft Office 365. And there is more to come - stay tuned and learn about the latest innovations from Barracuda Networks and Microsoft Azure. Today, cloud computing has become a "musthave" to a majority of the enterprise IT community, for reasons ranging from economic gains to technology benefits. But one of the major concerns carrying over from traditional IT - data and application security - has not changed, and requires the same diligence in the cloud as with on-premises solutions. Typically, whatever threats you face in your physical data center will be present in a virtualized one. Thus, as you extend your applications to the cloud, you are also extending your notions of identity, network and access control, information protection, and endpoint security. While Microsoft Azure is built on top of the same secure infrastructure as Bing, Microsoft.com, and Office 365, Microsoft Azure cannot block a poorly-designed web application from running on a VM, regardless of the security risks it might pose. With hundreds of lines of code to check - and vulnerabilities often subtle and hard to find - a serious data breach is often the first sign that a web application has problems. 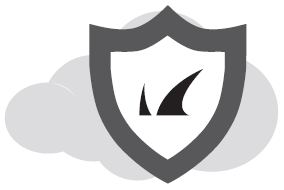 Fortunately, the Barracuda Web Application Firewall for Microsoft Azure fills the functional gaps between cloud infrastructure security and a defense-in-depth strategy required to securely migrate applications to Microsoft Azure. 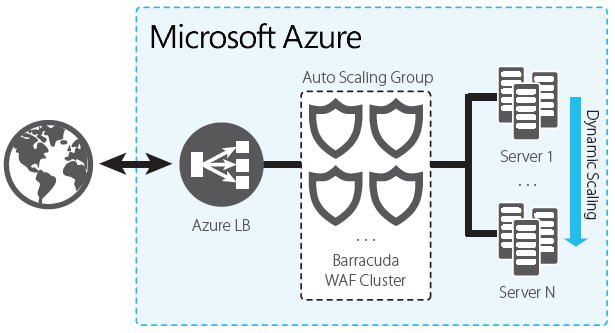 It is the first integrated, fully scalable Web Application Firewall on Microsoft Azure. 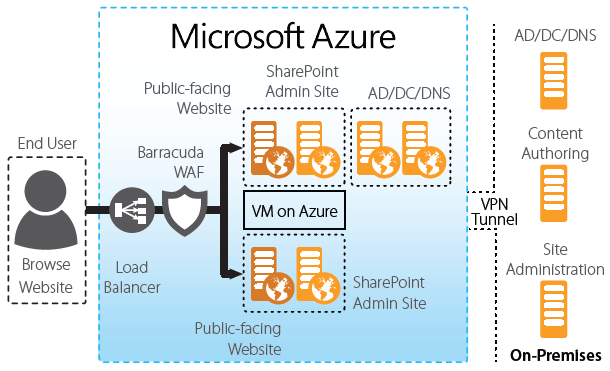 Having secured thousands of production applications against more than 11 billion attacks since 2008, the Barracuda Web Application Firewall is the ideal solution for organizations looking to protect web applications or workloads deployed in Microsoft Azure. With predefined security templates and load balancing built in, companies of all sizes can enjoy total application security with no need to learn, configure, and manage complex technology. This overview video will show you how to publish and secure your SharePoint application using Barracuda and Azure. This overview video will show give you an overview on how to secure HBI applications in Azure.